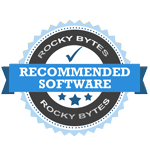 "A free archiving tool that consists of a load of features you would usually only expect with paid archiving software." Looking for a free archiving program? Give B1 Free Archiver a try, which is proud to be a free multi platform archiver and file manager tool to archive and compress your files for storage and later use. Available for all popular operating systems, including mobile, B1 Free Archiver truly is a one of a kind tool that is true to their word about it's freeware status. B1, being freeware, easily sets it aside from competing software since it is rare to find a truly free archiving application. The software has full support, this means compression, unpacking and encryption, for the ZIP archiving format. That, and of course B1 has support for it's native B1 archiving format which allows you to do all of the same as the ZIP format. B1 Free Archiver is also able to uncompress and open more than twenty popular archive formats that are commonly used to store and archive files. This includes the ability to split and encrypt archives for better compression and better security. Even if you don't speak English as your native language, B1 Free Archiver is available in more than thirty different languages that were all made by dedicated and experienced volunteers. B1 is full of great options, and this includes the ability to use the software through either a GUI (Graphical User Interface) or a CLI (Command Line Interface) based on your own personal preference. As you would expect from the paid archiving software, B1 Free Archiver is able to open most of the popular archive formats. These formats include ZIP, RAR, 7z, TAR.GZ, ISO, GZIP, TAR.BZ2, and of course the native B1 format. This type of support is usually only seen with paid software, but with B1 you get access to all of these files for free. While you are able to open these compressed formats, you can create only B1 and ZIP format archives with B1 Free Archiver. Sometimes a bit more compression is necessary to truly get your files to a satisfactory size and for file sharing. 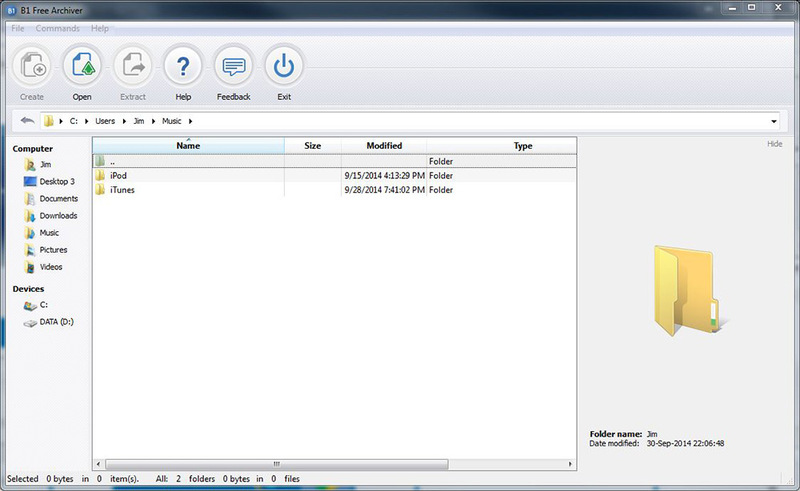 B1 Free Archiver is able to create split archives. These archives consist of several parts, each of a specified size with the ability to be password protected encrypted with the 256 bit AES algorithm. Once again, these are features you wouldn't expect out of a free program, but B1 gives these to you for free which makes the reasoning behind using this software even more compelling. The desktop application for B1 allows you full control over your archives - giving you the ability to edit them by adding, deleting, and editing files directly inside of the archive. With full drag and drop support, keyboard shortcuts, and hotkey navigation B1 Free Archiver consisting gives us reasons to use it over any of it's competitors which are mostly software you have to pay for. B1 Free Archiver is always under development and continues to come out with great new updates to the software while continuing it's freeware status with a load of great features which sets it aside from other paid competitors available on the Internet today.